Thank you Programme Director, although my colleagues prepared a speech for me because they wanted me to say certain things, I thought that I would speak from the heart because of the importance of this occasion. Honourable Premier, I would like to thank you for honouring this occasion with your presence. Which its importance, indeed required your presence. The Minister of Justice is on his way, in fact I would have loved to speak in his presence, but unfortunately for some other reason, the Programme Director called me before he arrived. But anyway, he will get the message but I am also humbled that he took his time to come and be part of this history in the making. The Judge President of the newly established Limpopo High Court, I thank you as well for honouring this occasion, particularly that you are the first Judge President of the first High Court to be established by statute in this province, the Superior CourtsAct, 2013, established the Court in this province and another High Court in Mpumalanga. And that to us, is significant because never before in the history of South Africa,has this province had a High Court. I will return to this later in my speech so that we can see its importance. I would like as wellto take this opportunity to acknowledge the presence of the Deputy Judge President of the Gauteng High Court who is based in the South Gauteng High Court. The reason why I say that the Deputy Judge President of the Gauteng High Court is because Gauteng has one Court with Johannesburg as the Local Division. Justice Mojapelo we are also humbled by your presence as well. The presence of other judges; Judge Kgomo, Judge Wright, Judge Phatudi and other judges that I haven’t seen, we are indeed humbled by your presence because we know that when we made this call to you, you understood that we are indeed making history in this province. There were other judges who wanted to come, in fact it must be announced to you that when we issued the invitations for the first time, about 20 judges have accepted the invitation but due to family and other commitments, they cancelled but they have sent me words of support and they have specifically said to me,we understand what you have done and in fact support it wholeheartedly. The Judge President of the Gauteng High Court, Justice Mlambo, phoned me to say that he wished to be here, but due to family commitments, he was unable to come and hence he ensured that Justice Mojapelo is with us today. To the members of the legal fraternity, but before coming to the members of the legal fraternity who are my colleagues, let me go a little back and say that Honourable Premier, I thank you for also coming to this occasion not alone but with the members of your executive and I wish to also acknowledge the MEC present here. It shows that indeed you have accepted that this is an important occasion. Let me come to my colleagues in the legal fraternity. To the advocates who practice law in the Republic of South Africa, black and white, I wish to say the following: South Africa is a country in the making in the sense that it is a democracy which existed only barely 21 years, it is a country which has been torn apart by racial divisions, where black and white could not practice together law as equals. With the ushering of democracy in 1994, we ensured that black advocates can now stand up in Court as equal and argue the same law as they can, given the intellectual capacity that they can unleash to the Court. Since that time, how far have we gone in ensuring that we integrate not only the presence of ourselves in the Court when we address the judges but integrating ourselves in terms of our mind sets, our attitudes and respect for one another. The establishment of this Bar, is in fact a culmination of a desire by those who came together to say that given that this province now has a High Court, we must have a respectable Bar established in the province. This Bar has been established as a non-racial Bar Association, it is in fact non-racial indeed, but it is predominantly black for obvious reasons, for obvious reasons because the demographics of South Africa dictate things to be that way, that in fact the majority will be black. But it does have white members as well, you will see that George Diamond, the first white member of this Bar, will also be addressing you shortly towards the end of this occasion. So to the advocates present here, your presence is symbolical in the sense that you represent the aspirations of the many advocates whodid not make it here, but not only that, the aspirations of the many advocates who never had an opportunity to practice law simply because the material conditions did not allow them to do so, you represent those who gave up and said that we can no longer cope when we cannot have any briefs. 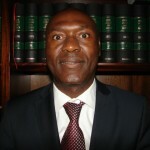 You actually represent those young men and women at universities, those who are studying law, who are still thinking whether it is worth it to study it, today you are actually saying to them, study hard and pass, then come to the Bar and do pupillage, the legal training that we provide, then practice law with us as an equal. I thank you for your presence especially given that most of you have busy schedules of having to execute briefs on behalf of your clients. To theattorneys present, this occasion represents the beginning of a partnership that must last for a very long time. Partnership between you and the advocatesthat you brief in terms of the structure of our profession, the ethical rules that advocates will not take instructions directly from a lay client.And you remain a bridge between the advocate and the client, but you also remain an important pillar to the advocates’ ability to execute their briefs with the abilities that they may have, your presence here should also serve to interact with the advocates and start building relationships. So I also and indeed very humbled by your presence here. We have also invited members of the business fraternity because we understand that the partnership exists between business, the legal profession and government. These are partnerships which must be grounded on the desire of each one of thesesections of the society to dispense justice. Of course the Courts play a critical role in that. I am also humbled by the presence of members of the business fraternity who ensured that they honour this occasion. To members of the civil society, because we are all part of it, you are the backbone of the country and the backbone of our democracy, toordinary men and women of this province, rich or poor, I say that here we are, we have come to this province to bring to you the best legal practice at your doorstep. Our members will execute the briefs they get irrespective of from who or where they come from, because their ethical duty is to represent their clients with the best intellectual capabilities they have. Our members remain independent and independent minded but they also understand that their independence must be guided by the ethical rules of the profession. 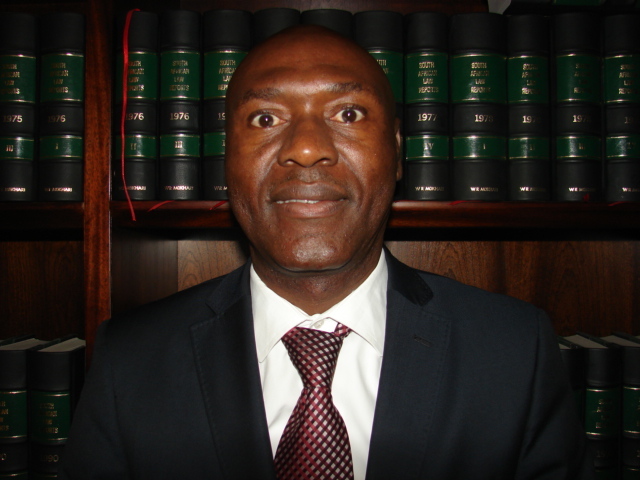 This Bar Association is an independent Bar Association affiliated to the General Council of the Bar of South Africa and ought to make sure that all our members adhere to the ethical rules of the GCB, and that is critical to dispensing to the members of the public quality legal services. We wish to have members who can stand on their feet, members who are fearless, members who are never afraid, those who are afraid achieve nothing in life, success is for the brave, and this message is to the members of the society, I am saying this because they are never going to achieve success easily, it is going to be difficult. They still have to ponder whether the briefs will come and they still have to imagine how thesebriefs have to be executed if they come, they still have to think about many things, they still have to overcome many obstacles but all I am saying is that, those who wish to build the future in the legal fraternity, don’t give up, don’t give up because success is for the brave. This province is largely rural. What that means is that your practice of law in terms of our mind-set may differ from the practice of law in Gauteng where you largely have to represent people in an urban setting. Here we are going to be confronted with people who largely come from rural areas, be patient with them, understand that they don’t have the money and this is all because of historical settings of our country; give them justice in accordance with your ethical principles that those who cannot afford, they still deserve to be represented by you. And this is a commitment that I would like the members of this Bar to make because if they don’t do it that way, the formation and existence of this Bar is worthless. Because it will be same as a business entity geared at making profit. To us, we are looking at building the Bar Association consisting of members who are able to first sit down with their clients, whether it is government or private sector, or whether it is civil society, whether it is a man or a woman in a rural area, and understand what the legal problem is. Dissect that problem in accordance with your understanding of the law, and if the instruction is to go to Court, prepare thoroughly for the argument, when you arrive in Court, argue like an advocate. When I say argue like an advocate, I mean that argue without fear because your duty is to assist the Court to arrive at the correct decision, to the correct judgement. Not the wrong judgement. So your duty is to assist the Court to arrive at the correct decision, the correct judgement. How are you going to do that if you stand in Court and you first do not believe in yourself, secondly you don’t believe in your argument. Let me pause a bit to allow the Minister of Justice to take a seat. Welcome Honourable Minister, when I started the speech I said that I would have loved to deliver my speech in your presence but I am happy that you came before I descended, but welcome. Let me return to the message. How do you dispense with justice if you first you don’t believe in yourself and secondly you don’t believe in your argument? And this is the shackles that we need to get rid of. Members of this Bar must be members who are able to stand up in Court and argue in such a way that when the client is seated at the back, he or she must say in her heart, there is my advocate, not members who when the client is seated at the back, all what the client can do is to look down and say what has gone wrong or the client says that why am I not represented by the opposite side. This is the reason why we said that we are going to establish this Bar Association and call it the Polokwane Society of Advocates affiliated to the GCB and that this Association should consists of men and women of character, of principle, independent and fearless. Ladies and gentlemen, maybe I started at the end or maybe in the middle, but let me go to the beginning, because the beginning always make you understand how you go into the future, the road that you travel is planned before you start it. I was born in this province in the beautiful mountains of the Waterberg. I am happy to return to this province because as I drive on the N1, and I look at the sides, I can still see those mountains that I was born and I can still see their beauty and that is why I say it is good to return to this province but not only that, I was mindful of the fact that this is a province that during apartheid years it was so neglected, that it was often regarded as the poorest of the poor, but this province reminds me of the time when gold was discovered in Johannesburg when everybodyin the Southern Africa was flocking to Johannesburg to earn a better living. Today as we sit here, 50 to 100 years to come, this province will be the Johannesburg of our country, for the beautiful minerals that it has which have been unearthed, this is the province which houses the biggest power station in the Southern Africa and Africa as a whole, Medupi, this is a province which is likely to have the first city to be built in a new democratic South Africa, Lephalale. This is the province which has produced the best educated people; thedoctors, the professors and the lawyers. But for the lawyers they never had an opportunity to practicelaw in their own province because of historical settings not of their own making, but now, this Court happens or comes at the time when this province is turning the corner. And I say this to the members of the legal fraternity, don’t letthis opportunity slip by and I want you to be there when this sleeping giant re-awakens so slowly. Because when this province turns the corner and becomes the powerhouse, it will require the best legal minds to untangle the most complex matters either arising from the mining deals, or business deals or even government untangled into contracts that have to be interpreted. And either one, you as the members of the PolokwaneSociety of Advocates, you need to be there when those problems are solved and to the ones in the centre of solving those problems. This province is special to my heart and it is too so special to all the members of the Society, when this Bar was to be formed, it was a culmination of a desire of two junior advocates who approached me and said that ‘Mr Mokhari’, we want to go back home and take it slow. Can you help us establish a Bar there? I said why, do you want me to do it for you? They said because they knew that when they tell me to do something, I would do. And I said that, if you can help me to do it, then we will do it. And I gave them assignments to perform and they indeed became foot soldiers, they conducted research and did everything, and they brought a report to me and said that, we have done our work and it is feasible. It was on that basis that inJune 2014 those members together with the few gathered in Blue Valley in Midrand and established this Society and passed this resolution. Can you give them a round of applause? Today we are here because of their vision, it is not my vision, it is their vision, it is not my Bar, it is their Bar. It is your Bar. This is the historical moment which I would like that 100 years from now, when our grand grandchildren celebrate its centenary, they must say, we know that our fathers and mothers, our forefathers and grandmothers, gathered on this day, the 12thof September 2015, to inaugurate this Bar as the first Bar ever to be established in a democratic South Africa. They will look back with pride, because at that time when this Bar celebrate its centenary, Limpopo province will not be the way it is, if you will be dead and you were to rise from the dead, you will not recognise it because it will be a powerhouse at the time. So this is theBar that I would like to be remembered for being the Bar that was established precisely to untangle the problems of the past, the problems that black advocates are facing, the briefing patterns, this is the Bar that must change all that. It must be a non-racial Bar and must continue to be a non-racial Bar. 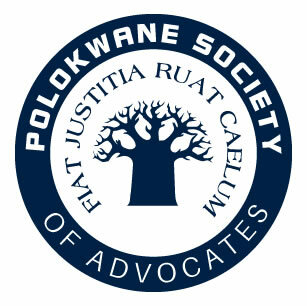 Ladies and gentlemen may I take this opportunity to say to you, I present to you the Polokwane Bar or the Polokwane Society of Advocates as the first ever Bar and I do so in my capacity as the first ever Chairman of this Bar. Ladies and gentlemen let me end by emotionally thanking the members of the Bar Council, let me say to you, you must know that you are going to go down in history as the first members of this Bar Association, those of you who are present, may you stand up so that they can see you, the members of the Bar Council of Polokwane Society of Advocates. Steven Mathabatha, you are the first Secretary of this Bar. Ladies and gentlemen, thank you for honouring this occasion, may it never end and to all of you who will join it, now and in the future, may you never fail.